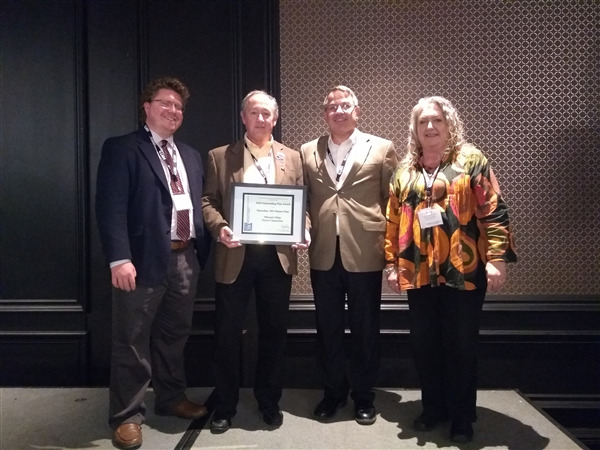 Missouri Main Street Connection Inc. (MMSC) is proud to be selected by The Missouri Chapter of the American Planning Association as the winner for the Outstanding Plan Award. The Community Master Plan for Marceline, MO, was based on the Main Street Four-Point Approach® which includes overall strategies implemented through Design, Economic Vitality, Promotion and Organization. Through their discussions with community members, the team developed three overarching important revitalization strategies based upon community input, economic data research, and potential success of implementing the Transformation Strategies. Goals within each strategy will help the Marceline community enhance the lives of current residents and appeal to visitors. These strategies included diverse housing and downtown properties, food and entertainment, and creative arts. MMSC worked with the Board of Directors of Downtown Marceline, the City of Marceline, and a special Steering Committee consisting of community members to help lead the effort for the Master Plan for Marceline, MO, boyhood home of Walt Disney. The MMSC Team consisted of MMSC staff and members from across the country with expertise in all aspects of community revitalization utilizing the Main Street Four-Point Approach®. Gayla Roten, MMSC State Director noted, “This plan came from the community of Marceline identifying a common goal for the future that will ensure community success for years to come. MMSC is very proud to have worked with all involved on this project and we look forward to assisting in the implementation of this plan.” MMSC is honored to receive the APA Outstanding Plan Award.